A: Our office is open from 8:30 to 18:00 Monday - Friday and 09:00 to 13:00 on a Saturday. However, we work onsite and in the warehouse 24 hours a day, 7 days a week. 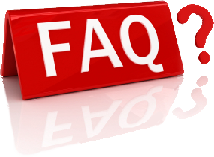 Below is a list of some frequently asked questions. If you have a question that’s not answered here, please contact us.